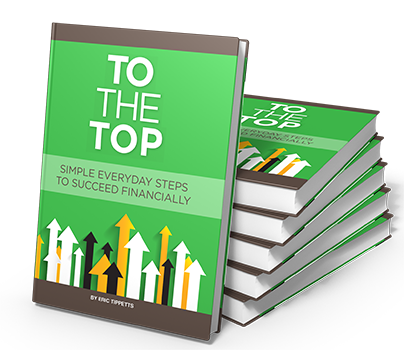 In “To the Top: Simple Everyday Steps to Succeed Financially,” Eric Tippetts lays out the foundation that will help everyone, wealthy or poor, to learn the valuable skills necessary to make sounder, wiser financial decisions and attain more financial success. Make no mistake, this is not a “Get Rich Quick” book. Rather, it is a book that will teach you how to be a better steward of what you do earn, so that you can have financial security now and in your “Golden Years.” The book will help you analyze where you currently are financially, escape the trap of indebtedness, and better plan for the future. To The Top will help you be better prepared for unexpected downturns in your earning capability, so that economic crises don’t become personal crises. This book is extremely well-written and edited, and is organized in a logical, no-nonsense manner. It was very helpful in figuring out and improving my own financial situation, and it is sure to be an incredible help to anybody who reads it.